A man sentenced to an indefinite hospital order after he bludgeoned his wife to death has gone missing in the UK. Michael Smales, 54, flew into a rage after wife Patricia, 44, told him their marriage was over and throttled her after she tried to run out of their house in Gatley, Stockport, in January 2009. He then picked up a brick and hit her on the head before he continued to strike the Manchester Airport check-in worker with a concrete paving slab. Smales fled the scene wearing only a T-shirt before he was detained shortly afterwards on an embankment of the M60 motorway. He later admitted manslaughter on the grounds of diminished responsibility and was sentenced at Manchester Crown Court in July 2009. 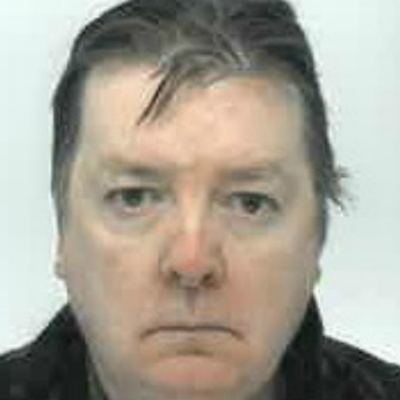 On Thursday, Greater Manchester Police said Smales – who is being managed by mental health services in the community – had been missing from his home in Sedgley Park, Manchester, since April 30. In a statement the force said it was concerned for his physical and mental health. It is believed he could be heading to Scotland and was last seen wearing a camouflage jacket, jeans and trainers. A police spokeswoman said: “Anyone who sees Michael is asked not to approach him but to call police as soon as possible.